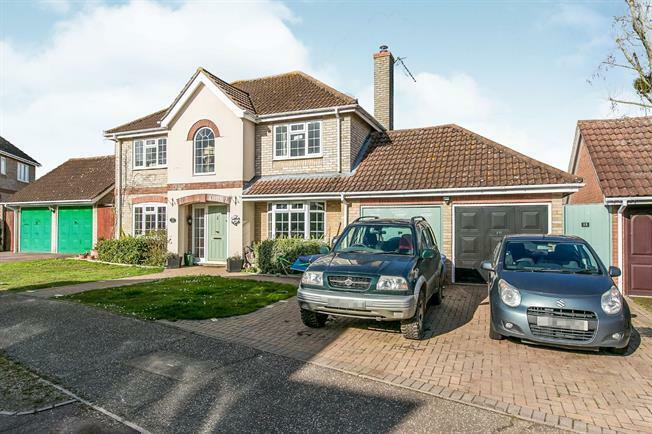 4 Bedroom Detached House For Sale in Halstead for Guide Price £400,000. Located in the highly sort after Hedingham school catchment this good size family home comprises of a modern fitted kitchen/diner with a separate utility room, a living room with a fireplace containing a log burner and a downstairs WC. Upstairs the property benefits from having a master bedroom with ensuite as well as three further bedrooms and the family bathroom. The property also benefits from having a double garage with one half currently being used as an office. Outside to the front there is driveway parking and lawned garden whilst the rear garden is made up of patio areas with interspersed flower beds.